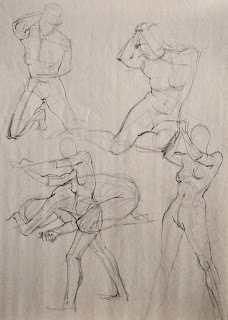 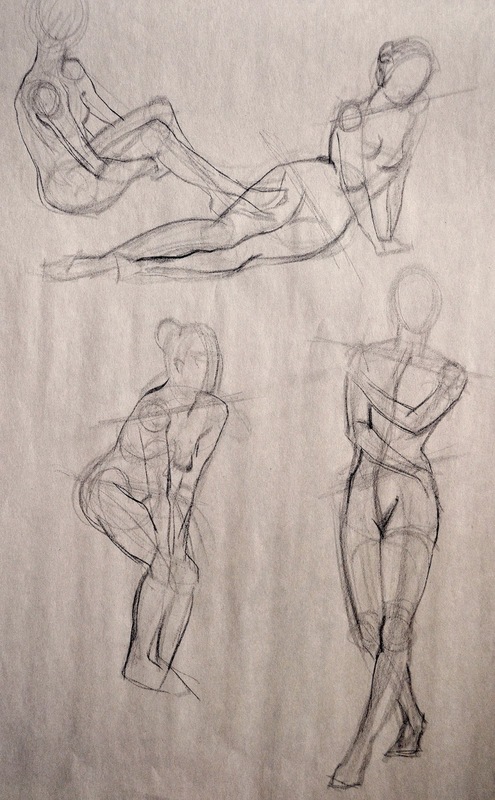 Developing gesture drawing skill is essential in sharpening ones figure drawing abilities and processes. 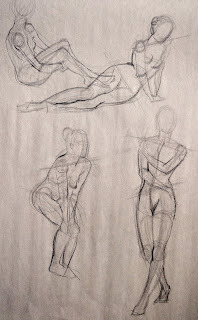 They help one to develop the ability to see movement and large mass relationships, suggest volume, flow, enhance curves and identify mid-lines; to see large simple relationships quickly. 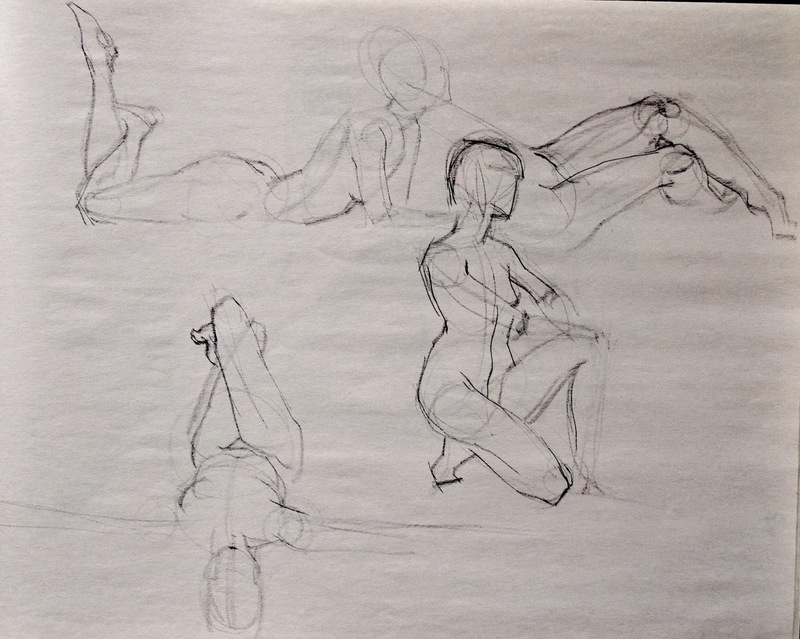 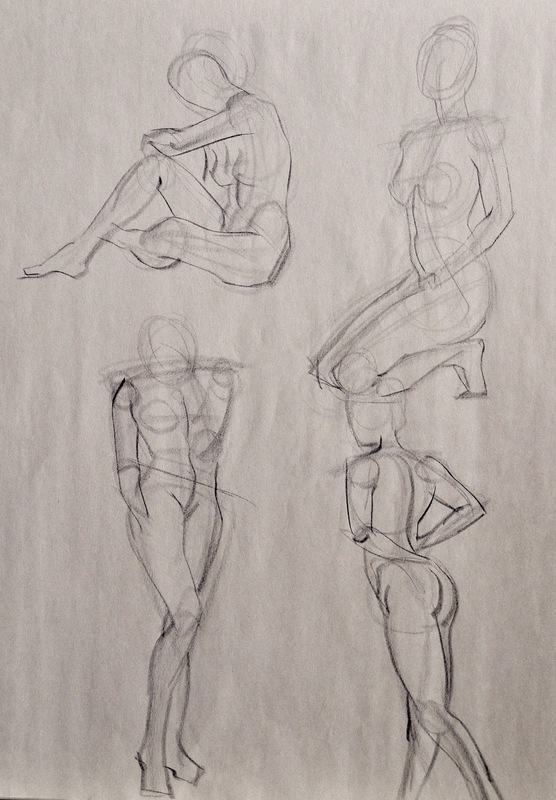 The above gesture drawings were completed in a range from 30 seconds to 2 minutes. 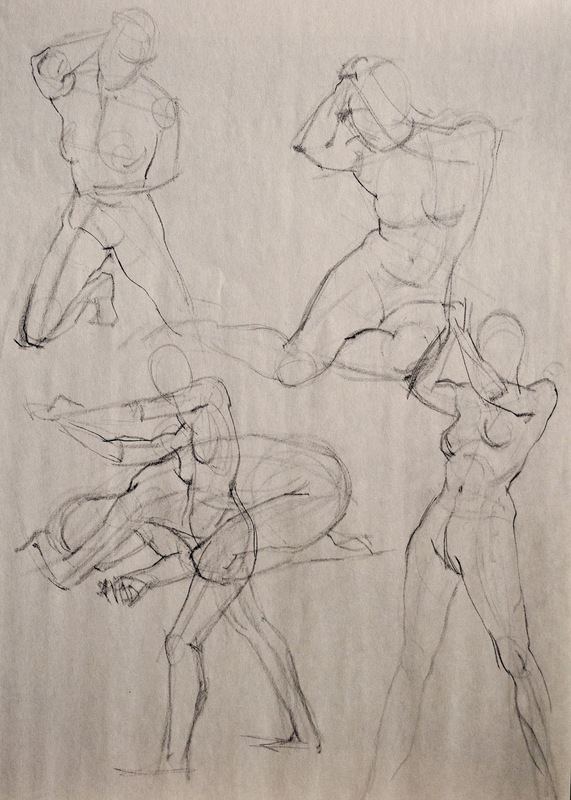 When I begin a figure drawing from life, I nearly always begin with a quick gesture drawing to solidify my idea about composition, properly fill the page and to immediately see proportional and shape relationships before proceeding. 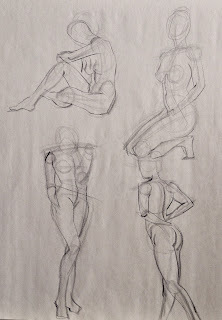 Independent of the length of time spent finishing the drawing from several minutes to several hours, this quickly allows me to see whether or not I should move ahead or continue to assess shape relationships.